Hometown: Miami, Florida, but I am originally from Holguin, Cuba. Where did you intern? What did you do there? I interned for the United States Department of Defense (DoD) Naval Sea Systems Command (NAVSEA) in Philadelphia, Pennsylvania. I was a program manager for software and cybersecurity projects. How did you get your internship? I obtained my internship through the BEYA STEM Conference, which took place in Washington, D.C. Every year, BEYA sponsors students to go there, and they cover the hotel and conference ticket costs. (Students pay for their flight tickets). I met with a recruiter from the DoD at the conference, and we spoke about my resume. An interview was scheduled for me to meet with a hiring manager from DoD the next day. I completed the interview, which was based on behavioral questions, and I was offered the internship. What advice do you have for those beginning the internship process? The main advice that I would give to other students just starting out the internship process is to first gather a lot of practice interviewing. Having a successful interview is your pathway to an internship. There are so many resources on campus to practice your interviewing skills and to increase your comfort level and gain confidence. Attend as many interview workshops and remember to always answer questions in the STAR (situation, task, action, result) method, and you will land an internship with no problem! What projects did you work on? During my internship, I worked on three projects. The first project I was tasked with was to create a project development (timeline, milestones, budget, work breakdown) plan for the development and distribution of software updates for all of the Navy's ships. The second task was to re-certify a 16-year-old submarine navigation station, where I had to leverage my communication skills and gather information from past experts in this area, to come up with a test/project development plan. With this plan that I created, future interns will be able to go through all the steps required to certify the machine. The third project consisted of finding a feature that would enhance the functionality of use within navigation stations onboard ships. I was able to do research, contact companies and develop a manufacturing and distribution plan so that they could implement a touchscreen feature and support it should there be any issues. I was successful in leading the efforts to implement the feature and it was integrated into the project. What is your major? My major is computer engineering. I graduate in December with my bachelor's degree. I am also happy to share that I have been accepted into FIU's MBA program, offered through the College of Business. I will be starting next semester. How did your internship connect back to your coursework? My internship was a direct connection to my Java and coding classes. Since I was tasked with software development programs, I had to refer to all the classes I took in coding in order to help the team be successful with our deliverables. Also, my experience in senior design one and two helped me in the process of working with others cohesively to obtain a result. What did you like most about your experience? I liked that, since it is a federal environment, it closely reflects the chain of command and work structure of the military. Being that I was in the Navy for six years, it was easy for me to integrate my prior experiences into this job. I joined the Navy at 17, as soon as I graduated high school. After 9/11, I felt compelled to join the military. I felt a sense of responsibility to protect my family and the nation. While in the Navy, I created an association dedicated to serving junior enlisted members in professional development and civilian to military life integration. The association was able to raise more than $13,000, which we used as relief funds to help sailors return home in times of emergency. My military background helped me feel confident in my role as program manager for the Department of Defense. At the end of the internship in August, I was offered a full-time job as a software engineering program manager in Panama City, Florida, which I have accepted and will be starting in January 2019. How did the position increase your professional confidence? The position allowed me to put all of my course work and professional knowledge skills to the test. 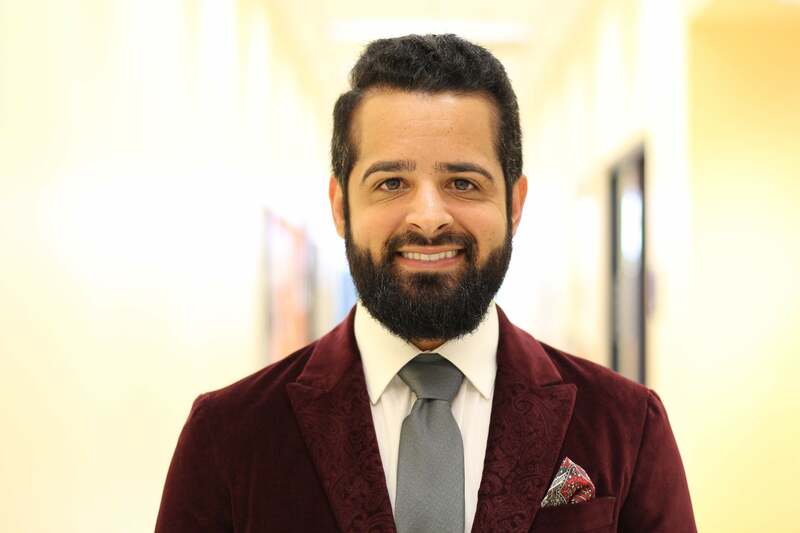 At first, I was not sure how I was going to go about completing all of the projects I was assigned, but after referring back to the courses and experiences that I had had at FIU and my work history, I was able to adapt and succeed in all areas. I got out of my comfort zone and saw a growth in confidence in myself while gaining more professional skills. How did you expand your professional network? During my internship, I met a lot of experts and professionals that already had vast networks. By succeeding in my projects and continuing to develop relationships with the awesome employees that I met there, I was introduced to their networks in various social networking events. This allowed me to leave my internship with a greatly expanded network, which I constantly communicate with to become a stronger expert in my field and find out about professional opportunities. How did it help you prove yourself in the 'real-world?' I had professional experience before, but never as a computer engineer. This internship allowed me to see what was expected of me as an engineer, and what I would be doing in the field once I graduated. I was very happy to find out that the courses I took apply, and that I had a basic knowledge and foundation of certain platforms. When I was tasked with a project, I knew where to start. Thank you to the professors of FIU's Department of Electrical and Computer Engineering for teaching the courses necessary for students to become successful engineers.